Starting May 15, 2019, you can go from bed to boarding a plane in record time. 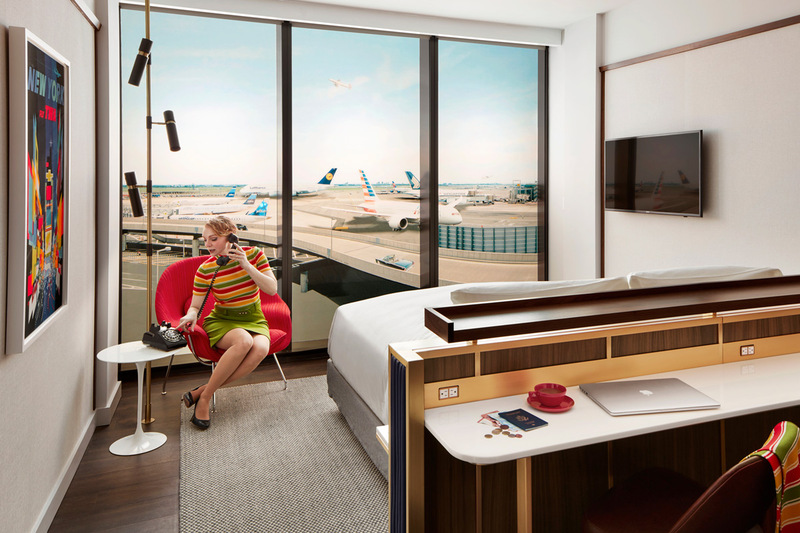 The TWA Hotel’s 512 guestrooms have cocktail bars and Hollywood-style vanities. 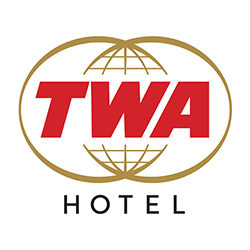 NEW YORK, NY / FEBRUARY 8, 2019 Mark your calendar with a heart: At noon EST on Thursday, February 14, you can book a stay at the TWA Hotel at New York’s John F. Kennedy International Airport by visiting twahotel.com — the only place to reserve guestrooms. The hotel’s 512 midcentury modern-inspired guestrooms — housed in brand new buildings behind the 1962 Eero Saarinen-designed landmark that will be the heart of the hotel — are available beginning May 15, 2019, the TWA Hotel’s soft opening. A grand opening celebration will be thrown in the fall. Room rates start at $249. The Paris Café by Jean-Georges will serve meals inside the Saarinen-designed landmark. 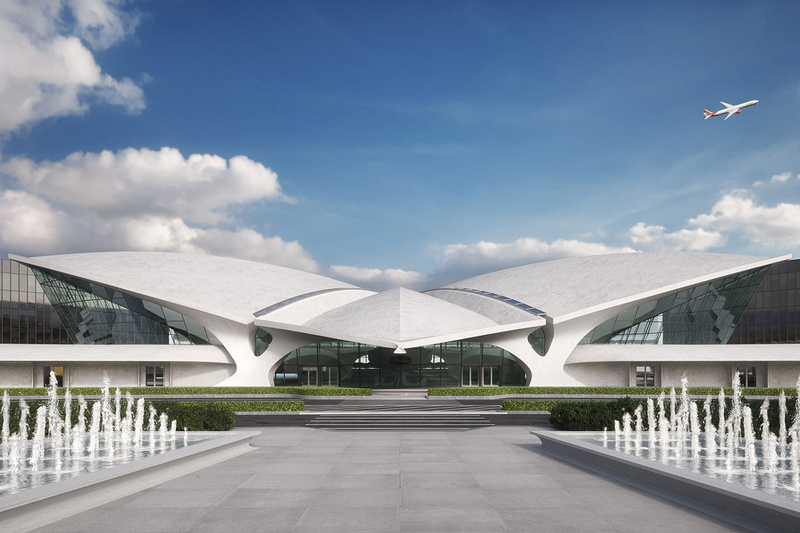 This spring, the TWA Hotel will also offer reservations for shorter day stays, providing JFK travelers on layovers a place to shower, catch up on email with free fast Wi-Fi, have a great meal at The Paris Café by Jean-Georges and hit the 10,000-square-foot-gym or rooftop pool before heading into Manhattan for meetings. Need to make long-distance calls? They’re free on our rewired vintage rotary phones. 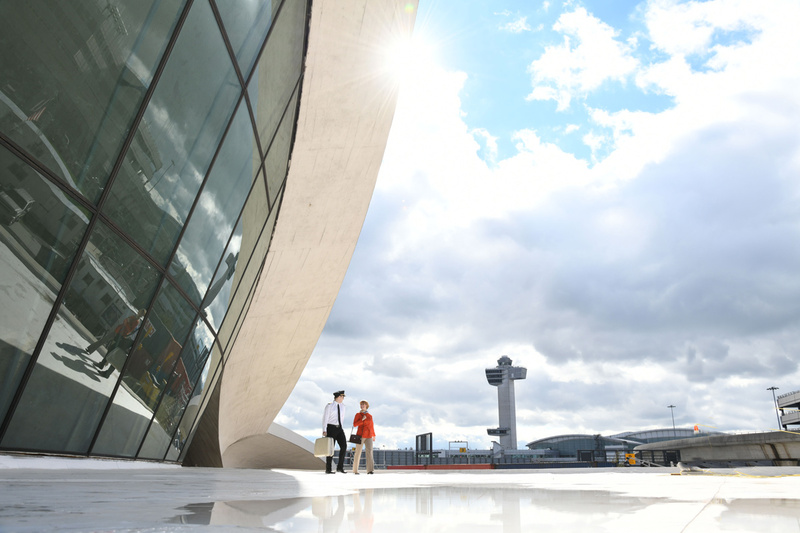 Bonus: Detouring to the hotel after an early morning JFK arrival allows you to skip the rush hour traffic on the Belt Parkway and the Van Wyck Expressway. Guestrooms at the TWA Hotel have the second-thickest glass in the world. The TWA Hotel will celebrate Trans World Airlines’ history with vintage uniforms on display (above, a Stan Herman flight attendant pantsuit from 1975). Based in New York City, MCR is the sixth-largest hotel owner-operator in the United States with a $2.0 billion portfolio of 85 premium-branded hotels across 26 states and 67 cities, including The High Line Hotel, an adaptive reuse hotel in Manhattan, and the TWA Hotel at John F. Kennedy International Airport, scheduled to open in spring 2019. For more information, please visitmcrinvestors.com. To receive updates about the TWA Hotel, enter your email address at twahotel.com.